Little, Brown Books for Young Readers, 9780316225496, 224pp. Suzanne Selfors is the author of the Imaginary Veterinary series, the Smells Like Dog series, "Fortune's Magic Farm," "To Catch a Mermaid," and many other books. She lives near the Olympic Mountains, a range covered in fat, slow-moving marmots -- perfect food for dragons. When not dragon-spotting, she's busy writing books, which is her very favorite thing to do. 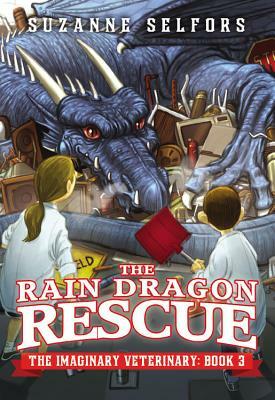 Dan Santat is a children's book writer and illustrator. He graduated from Art Center College of Design and lives in Southern California, with his family, a rabbit, a bird, and one cat.